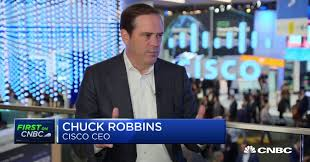 Akraino Edge Stack, a Linux Foundation project initiated by AT&T and Intel, intends to develop a fully integrated edge infrastructure solution, and the project is completely focused towards Edge Computing. This open source software stack provides critical infrastructure to enable high performance, reduce latency, improve availability, lower operational overhead, provide scalability, address security needs, and improve fault management. The Akraino community will address multiple edge use cases and industry, not just Telco Industry. Akraino community intends to develop solution and support of carrier, provider, and the IoT networks. AT&T's seed code will enable carrier-scale edge computing applications to run in virtual machines and containers. AT&T’s contributions, which will include support for 5G, IoT, and other networking edge services will enhance reliability and enable high performance. Intel upstreamed Wind River Titanium Cloud portfolio of technologies to open source in support of additional blueprints in Akraino. ▪ Faster Edge Innovation - Focused group facilitating faster innovation, incorporating hardware acceleration, software-defined networking, and other emerging capabilities into a modern Edge stack. ▪ End-to-End Ecosystem - Definition and certification of H/W stacks, configurations, and Edge VNFs. ▪ User Experience - Address both operational and user use cases. ▪ Seamless Edge Cloud Interoperability- Standard to interoperate across multiple Edge Clouds. ▪ Provide End to End Stack- End to end integrated solution with demonstrable use cases. ▪ Use and Improve Existing Open Source - Maximize the use of existing industry investments while developing and up-streaming enhancements, avoiding further fragmentation of the ecosystem. ▪ Support Production-Ready Code - Security established by design and supports full life-cycle. Akraino is a complementary opensource project, and interfaces with the existing projects namely Acumos AI, Airship, Ceph, DANOS, EdgeX Foundry, Kubernetes, LF Networking, ONAP, OpenStack, and StarlingX. Telco NFV Edge Infrastructure - Running cloud infrastructure at the network edge allows for the virtualization of applications key to running 5G mobility networks at a larger scale, density and lower cost using commodity hardware. In addition this infrastructure can also enable the virtualization of wireline services, Enterprise IP services and even supports the virtualization of client premises equipment. This reduces the time to provision new services for customers and even, in some cases, allows those customers to self-provision their service changes. Autonomous devices - Drones, Autonomous Vehicles, Industry Robots and such customer devices require a lot of compute processing power in order to support video processing, analytics and etc., Edge computing enables above-said devices to offload the computing processing to the Edge within the needed latency limit. Immersive Experiences - Devices like Virtual Reality (VR) headsets and Augmented Reality applications on user’s mobile devices also require extremely low levels of latency to prevent lag that would degrade their user experience. To ensure this experience is optimal, placing computing resources close to the end user to ensure the lowest latencies to and from their devices is critical. IoT & Analytics - Emerging technologies in the Internet of Things (IoT) demands lower latencies and accelerated processing at the edge. To ensure timely information arrives for data-driven decisions for manufacturing and shipping businesses, edge computing is also beneficial. Receiving and processing this data at the edge allows more timely decision making leading to better business outcomes. The processing power demands of customer devices, namely AR/VR, Drones, and Autonomous Vehicles are ever increasing and require very low latency, typically measured in milliseconds. The place where processing takes place plays a major role with respect to quality of user experience and cost of ownership. Centralized cloud decreases the TCO, but fails to address the low latency requirement. Placement at customer premises is nearly impossible with respect to cost and infrastructure. Considering the cost, low latency, and high processing power requirements, the best available option is to utilize the existing infrastructure like Telco’s tower, central offices, and other Telco real estates. These will be the optimal zones for the edge placement. The Akraino Edge Stack is a collection of multiple blueprints. Blueprints are the declarative configuration of entire stack i.e., Cloud platform, API, and Applications. Intend of Akraino Edge Stack is to support VM, container and bare metal workloads. Akraino is a complimentary OpenSource project and it is intended to use upstream community work in addition to the software development within the Akraino community. 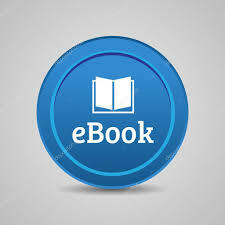 A typical service provider will have thousands of Edge sites. These Edge sites could be deployed at Cell tower, Central offices, and other service providers real estate such as wire centers. End-to-End Edge automation and Zero-Touch provisioning are required to minimize OPEX and meet the requirements for provisioning agility. In order to be resilient, Akraino Edge Stack deployment intent to follow the hierarchy of deployments such as collection of central sites that deploy a collection of regional sites. The regional sites that facilitate the deployment of Edge Sites. For example, the figure below shows the central site C1 and C2 allows the management of regional sites R1, R2, R3, and R4. And regional sites allows the management of Edge Sites which are remote and closer to the users. Regional sites serve as the controller for Edge sites in their corresponding "Edge Flock". To promote the high availability of Edge Cloud services, Akraino regional sites are set up redundantly to overcome site failures. 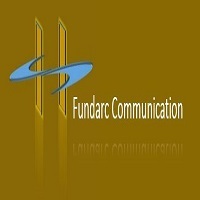 When We, Fundarc-Comm (xgnlab), put our whitepaper on 5G, and centered it around two notion, large scale and convergence. 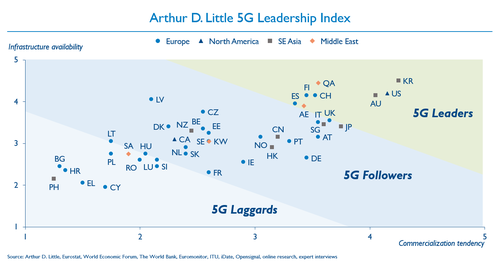 We were convinced and thought 5G as a large scale convergence technology. 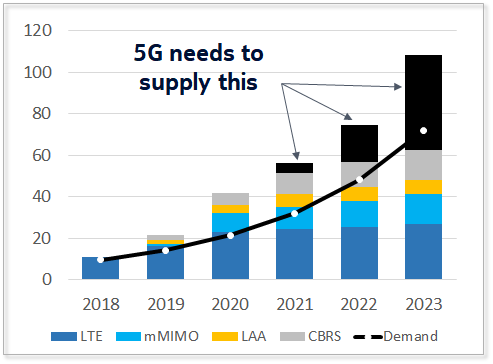 5G is about scaling and providing required flexibility to address the humongous uses cases around industry. That's not by its exclusive approach but inclusive approaches to take variety of technological advancements with a converged solution. 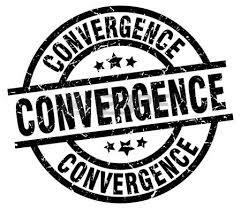 This convergence is already taking shapes like in various open source frameworks for cloud and computing and also in connectivity and networking like through multiple access etc. "We are truly embarking on incredible times," he said. "As we think about this next phase that we're getting ready to enter into, it is going to be like no other phase we've ever seen." "It's going to be massive scale. And this has huge implications for all, making possible the creation of new applications and bringing new opportunities for a broad range of industries, from mining through to autonomous driving." This tutorial guides you how firewall works in Linux Operating system and what is IPTables in Linux? Firewall decides fate of packets incoming and outgoing in system. IPTables is a rule based firewall and it is pre-installed on most of Linux operating system. By default it runs without any rules. IPTables was included in Kernel 2.4, prior it was called ipchains or ipfwadm. IPTables is a front-end tool to talk to the kernel and decides the packets to filter. This guide may help you to rough idea and basic commands of IPTables where we are going to describe practical iptables rules which you may refer and customized as per your need. ebtables applies to Ethernet frames..
/etc/init.d/iptables – init script to start|stop|restart and save rulesets. /etc/sysconfig/iptables – where Rulesets are saved. iptables firewall is used to manage packet filtering and NAT rules. IPTables comes with all Linux distributions. Understanding how to setup and configure iptables will help you manage your Linux firewall effectively. iptables tool is used to manage the Linux firewall rules. At a first look, iptables might look complex (or even confusing). But, once you understand the basics of how iptables work and how it is structured, reading and writing iptables firewall rules will be easy. This article is part of an ongoing iptables tutorial series. This is the 1st article in that series. This article explains how iptables is structured, and explains the fundamentals about iptables tables, chains and rules. On a high-level iptables might contain multiple tables. 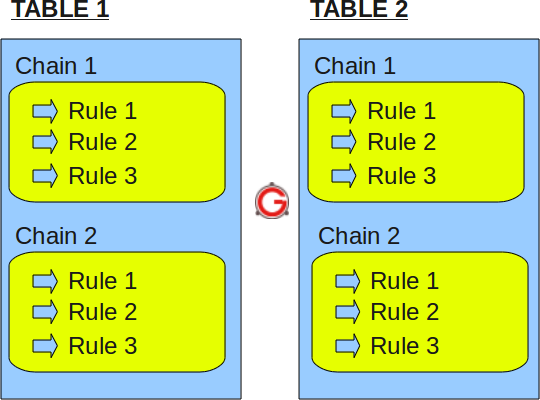 Tables might contain multiple chains. Chains can be built-in or user-defined. Chains might contain multiple rules. Rules are defined for the packets. So, the structure is: iptables -> Tables -> Chains -> Rules. This is defined in the following diagram. Just to re-iterate, tables are bunch of chains, and chains are bunch of firewall rules. IPTables has the following 4 built-in tables. Filter is default table for iptables. So, if you don’t define you own table, you’ll be using filter table. Iptables’s filter table has the following built-in chains. INPUT chain – Incoming to firewall. For packets coming to the local server. OUTPUT chain – Outgoing from firewall. For packets generated locally and going out of the local server. FORWARD chain – Packet for another NIC on the local server. For packets routed through the local server. 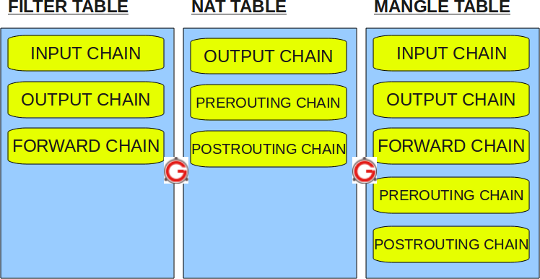 Iptable’s NAT table has the following built-in chains. Iptables’s Mangle table is for specialized packet alteration. This alters QOS bits in the TCP header. Mangle table has the following built-in chains. Iptable’s Raw table is for configuration excemptions. Raw table has the following built-in chains. The following diagram shows the three important tables in iptables. Following are the key points to remember for the iptables rules. Rules contain a criteria and a target. If the criteria is matched, it goes to the rules specified in the target (or) executes the special values mentioned in the target. If the criteria is not matached, it moves on to the next rule. Following are the possible special values that you can specify in the target. ACCEPT – Firewall will accept the packet. DROP – Firewall will drop the packet. QUEUE – Firewall will pass the packet to the userspace. RETURN – Firewall will stop executing the next set of rules in the current chain for this packet. The control will be returned to the calling chain. If you do iptables –list (or) service iptables status, you’ll see all the available firewall rules on your system. The following iptable example shows that there are no firewall rules defined on this system. As you see, it displays the default input table, with the default input chain, forward chain, and output chain. Do the following to view the mangle table. Do the following to view the nat table. Do the following to view the raw table. Note: If you don’t specify the -t option, it will display the default filter table. So, both of the following commands are the same. The following iptable example shows that there are some rules defined in the input, forward, and output chain of the filter table. opt – Special options for that specific rule. 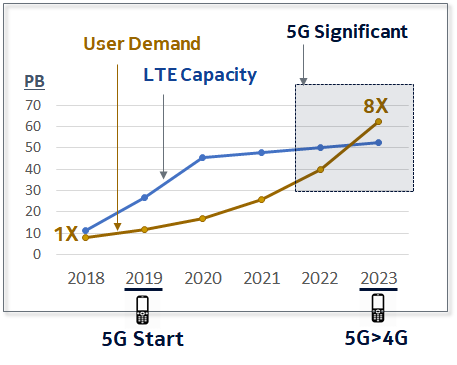 EXFO in 5G transformation through Transport Networks.